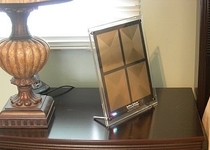 The Tabletop Model is our most powerful Harmonizer to Protect you from EMF and to improve your Well-Being. 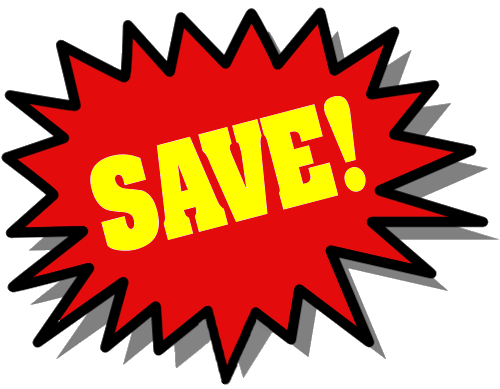 SAVE UP TO 40% WITH BUNDLED PACKAGES!!! 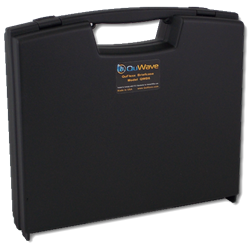 The Tabletop Model produces the strongest Schumann Resonance and Scalar Energy Field of any QuWave product. Depending on the Model, it generates a field which is about 100 to 300 times stronger then the Personal Model. Available in three different styles depending on your needs. 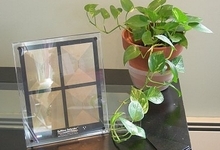 This model is designed to be placed on a table, desk, or night-table. It can also be placed flat for applications like under your bed for nighttime use. This model is not portable, and needs to be plugged in at all times to operate. 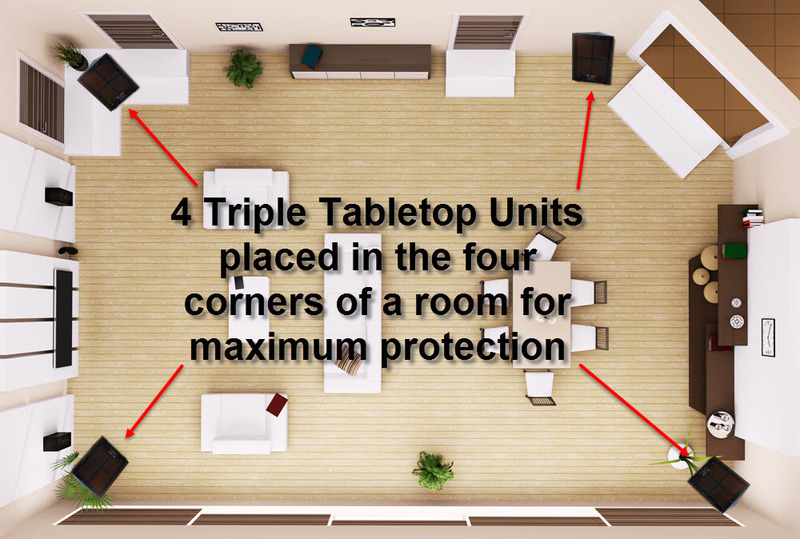 Use Place near where you are most of the time for maximum protection. product. 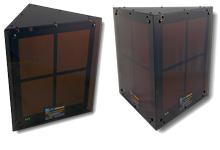 Combines three Tabletop Models in one enclosure to give you three times more power then a regular Tabletop. Can Protect the whole house or place near where you are most of the time for maximum protection. Our most powerful Portable product. Has four QuFlexx Harmonizers for three times the power of a Tabletop. 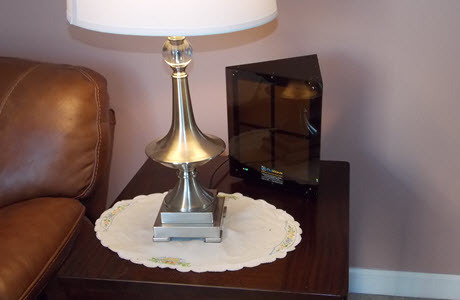 Carry it with you anywhere you go, or permanently plug it in and place in your home, or use in the car. Power Powered from International wall AC adapter, needs to be always plugged in. (Car Adapter available) Powered from International wall AC adapter, needs to be always plugged in. (Car Adapter available) Internal Battery lasts 2-3 months between charges. Recharge from house power (100-240VAC). Product Warranty: 1 year warranty against defects and workmanship, full parts and labor. 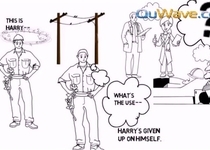 Extended Five Year warranty is available as an option. Satisfaction Guarantee: 100% Satisfaction Guarantee. Try it Risk-Free for 30 days. No-hassle returns. 30 days full money back for any reason. This is the original Tabletop Harmonizer. 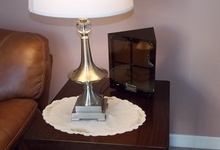 It is designed to be placed on a table or on a nightstand. Rear detachable legs Like a photo-frame. 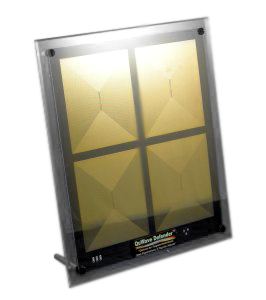 The Tabletop Harmonizer produces a very strong Schumann Resonance and Scalar Energy Field. 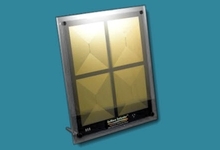 It uses the same principle as the Personal Harmonizer, except that it is much more powerful. 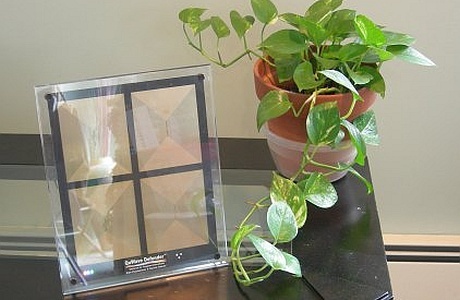 It generates a field which is about 50 times stronger then the personal unit. 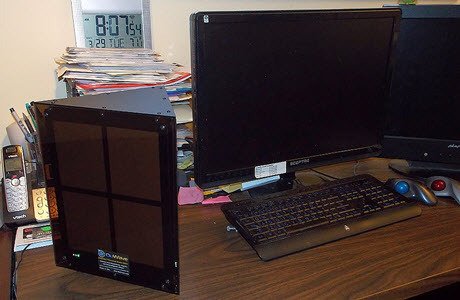 This is possible because we were able to make the unit larger and because we are not limited by having to operate it from a small battery, and instead use an AC adapter to provide the power. We also used gold-plated antenna conductors for greater efficiency to make more powerful antennas. This model is not portable, and needs to be plugged in all the time to operate. 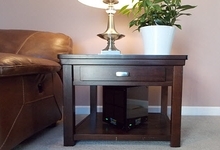 This model is designed to be placed on a table, desk or a night-tablein a free-standing position. 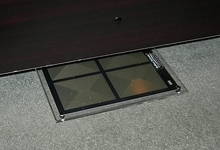 The feet can be removed and the unit can be placed in a flat position like under your bed for night-time use, or under a table, sofa or chair. 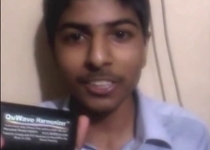 This model can also be used in a car (with an accessory car power adapter) to reduce effects of car EMF pollution. 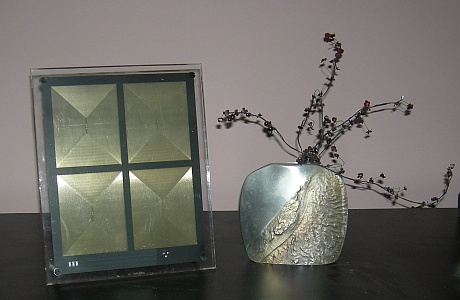 Just like the Personal model, this Harmonizer uses a High Frequency Scalar Wave which is modulated with the Schumann Resonance for a soothing grounding effect. 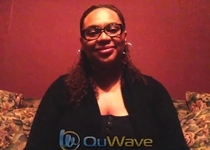 For desired results, you need to be within the field of the unit. This is designed for maximum Schumann Resonance stimulation and generates the Scalar Waves in all directions with a diameter of over 50 feet. 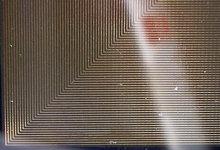 This unit has four unique Mobius-style antennas to generate the Scalar Waves. 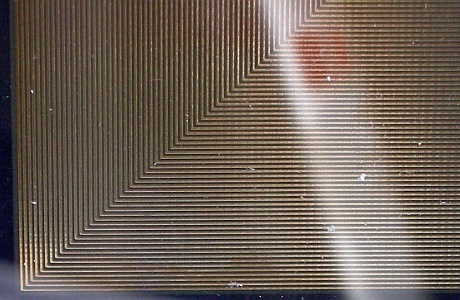 Each antenna measures 4.25" x 3.5". The antennas use gold-plated conductors for maximum efficiency since gold is the best conductor for scalar applications. The antenna radiates waves in all directions in 360 degrees, so the unit can be placed in any orientation. However, the closer you are to the front of the unit the more effective it will be. This is the Triple Harmonizer. 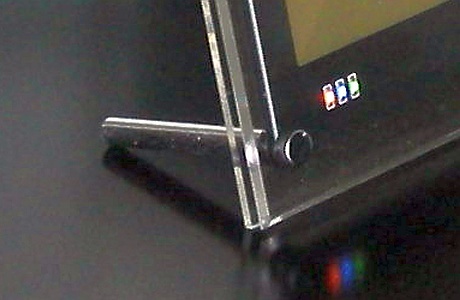 It consists of three of the Tabletop units in a single triangular enclosure. The Triple model is our newest, most powerful product in the Harmonizer Family. 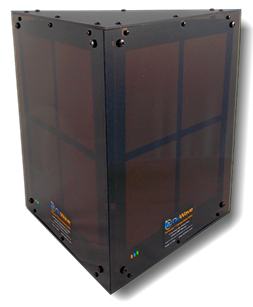 Introducing the Titanium "Quad-MAX" Harmonizer Package! 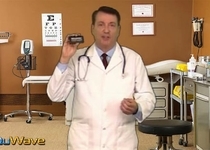 Safeguard yourself with the Briefcase Harmonizer! 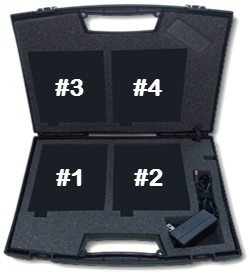 The Quad QuFlexx Harmonizer Briefcase is the most powerful, portable protection available to defend against EMF and electronic harassment. 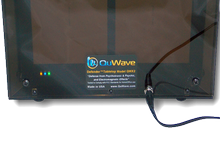 With a range of over 150 feet and a battery that lasts up to three months between charges, the QuFlexx Briefcase is the ultimate product for scalar wave benefits. Four individual QuFlexx Harmonizer units (QWH6) are mounted in an easy to carrry, slim case. 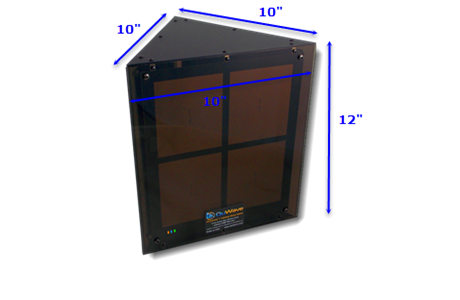 Weighing only about four pounds, the sturdy plastic case is lined with foam padding to keep each QuFlexx unit secure in place. 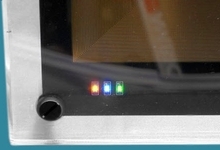 Each QuFlexx has four user-selectable modes of operation. You can choose the same mode for all units, tune each unit to a different mode, or mix and match to find what works best for your own individual needs. Note that this Briefcase is also available customized where you can individually select different units for the four slots. Discover the power of the new Briefcase Harmonizer! You asked for it and here it is: the much-requested Harmonizer Briefcase Model is the result of years of work and refinement. 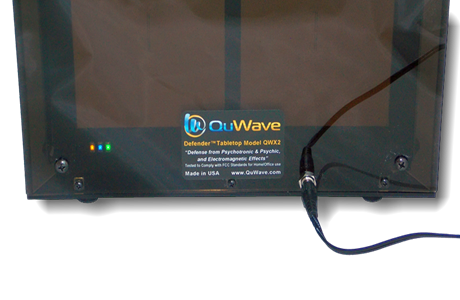 Many customers have created their own variants on this idea, but QuWave’s official version, decked out with four QuFlexx Harmonizers is the model of choice for those seeking the most advanced harassment protection on the market. 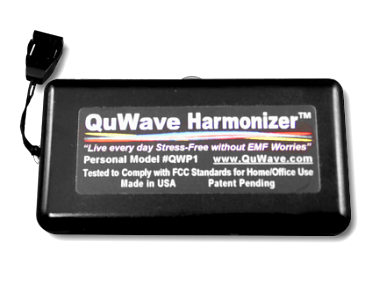 This is QuWave’s newest Portable Harmonizer model. Built into a small briefcase, it is fitted with four QuFlexx Harmonizers, each containing its own rechargeable battery pack and . 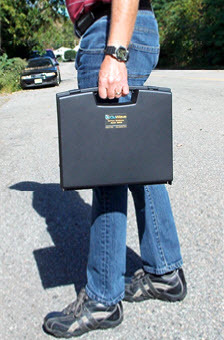 The Briefcase is perfect for on-the-go defense against electronic harassment, psychotronic/psychic attacks, voice-to-skull and more. 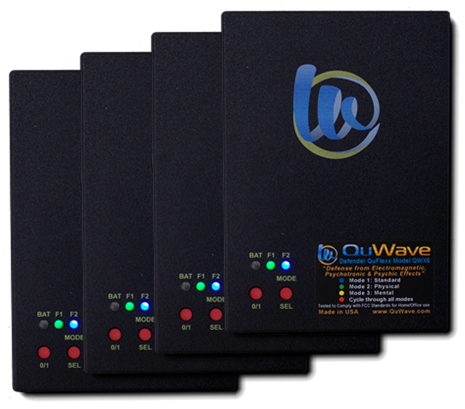 This product is three times (3x) as powerful as the Tabletop model and three-hundred times (300X) more powerful than the Personal Harmonizer. Try the QuFlexx Briefcase today. 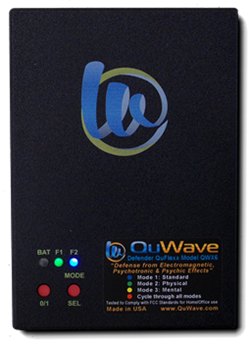 This model uses the QuFlexx models which have the special unique circuitry which cyclically varies the generated frequencies as a countermeasure so that the perpetrators can't lock on to the unit's frequency in order to circumvent its operation and defeat the unit. This operation can be seen in the status LEDs which have a fluctuating blink rate corresponding to the fluctuating frequencies. This model generates a field in all directions with a large diameter. For desired results, you need to be within the field of the unit. This model is meant for those that are highly effected and is thus designed to be close to the effected individual for maximum protection. The closer you are to the unit, the more you will be within it's protective field. 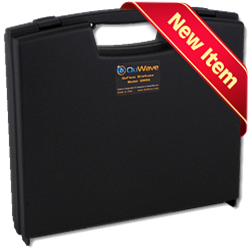 Just like the Personal model, this Briefcase model uses a High Frequency Scalar Wave which is modulated with two low frequency Activation Frequencies. 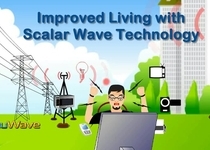 The Scalar Wave protects and generates a shield to make it difficult for the Harassment Controlling Signals to get through to the individual. 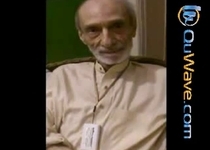 The two low frequencies provide soothing to the body and brain cells and enable healing. 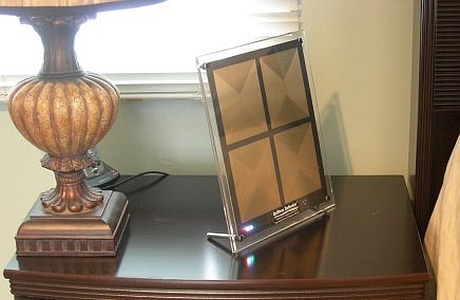 This model can be powered either from the internal battery pack, or from your house AC outlet. 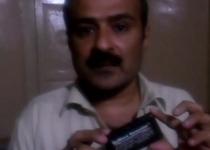 The rechargeable battery pack will power the unit for 2-3 months. 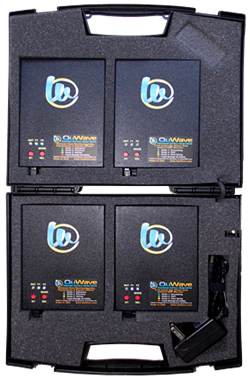 The included charger will fully charge the battery within 3-4 hours (we recommend charging overnight every month). It can be left plugged in permanently for home applications. 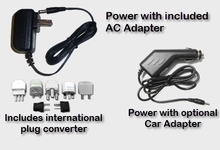 International orders include an AC plug adapter and a 120V/240V Power Adapter. The unit is built into a small briefcase size 13 x 11.5 x 2.75" and weights about 4 lbs. 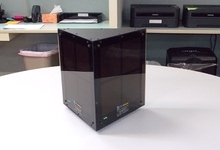 The case is high quality industrial strength black in color. It has a carry handle and latches that can be secured with a lock. 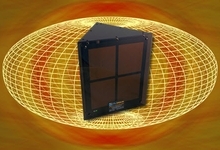 It will operate in any orientation and generates a field of 360 degrees. Inside the case each of the units has its own status LEDs to show that the frequencies are being generated. 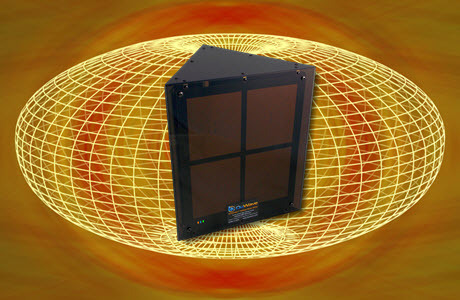 The antenna radiates waves in all directions in 360 degrees, so the unit can be placed in any orientation. However, the closer you are to the front of the unit, the more effective it will be. 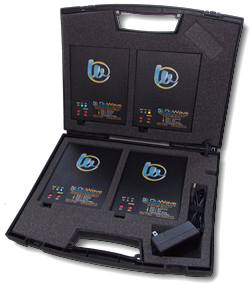 The Briefcase Harmonizer is our most powerful portable model, about 300 times as powerful as the Personal Harmonizer, and three times as powerful as the Tabletop Harmonizer. • Many different versions available - Personal, Computer, Car, Home, Tabletop, etc. 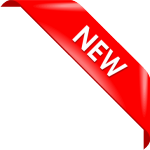 • Includes 1 year warranty, with 5 year warranty available as an option.